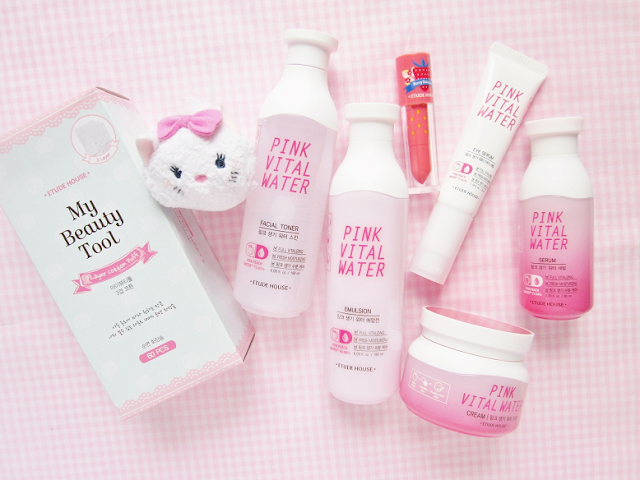 The Pink Vital Water collection by Etude House was released in early spring. All the products contain pink peach water that is suppose to vitality, energy and provide moisture. I've used all the whole Pink Vital Water line for 2 months so I have a lot of experience using these products. Today I will be reviewing all of the products from the Pink Vital Water line and giving you my honest opinion on each of the products. Let's start! "The vitality moisturizing care reduces fatigue and provides pink color vitality and moisturizing energy to skin." 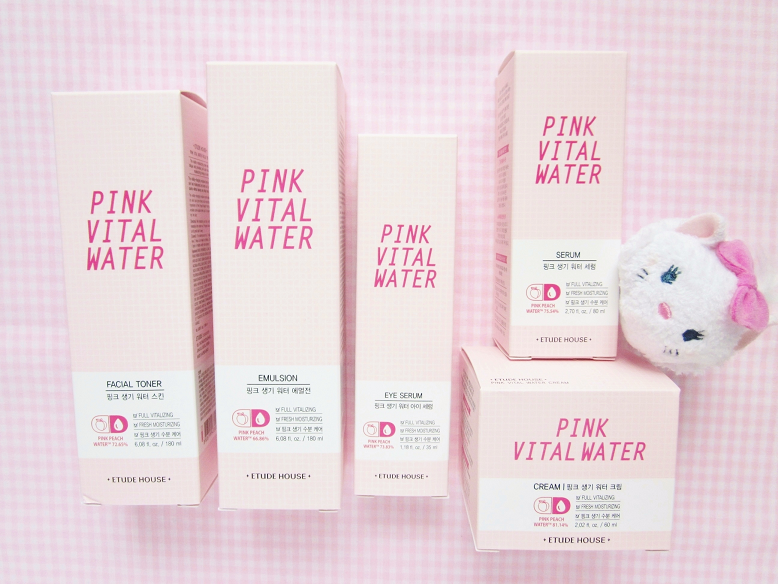 I started using the whole Pink Vital Line in mid May. All the products smell and look similar. The cream, serum and emulsion all work the same but have different consistencies. The lightest of all the products is the toner followed by the serum, emulsion, eye serum and lastly the cream (also the same order I apply onto my face, aside for the eye serum). I wasn't a fan of the toner or eye serum. The toner was way too liquidity for me. Out of all the Korean toners I've used this is the worst. It's still moisturizing but not as much as other Korean toners I've used before. It just didn't do what I wanted it to do.for my skin. The eye serum was very hydrating however the next morning it created small pimples around my eye area, so I quickly stopped using it so I can't give you my full review on it. I would buy the cream, serum and emulsion again. 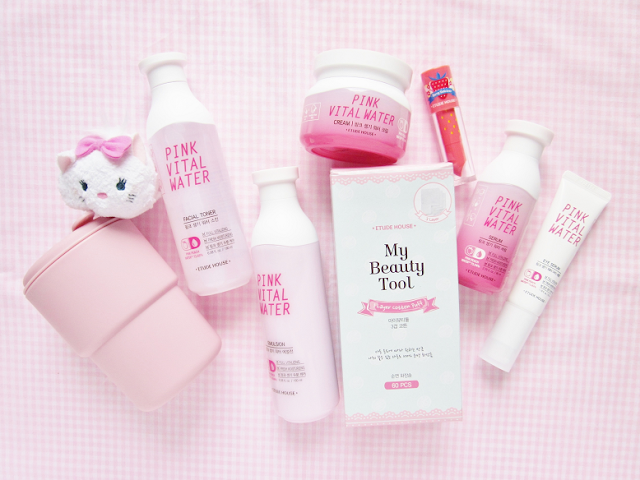 Not the toner or eye serum though. 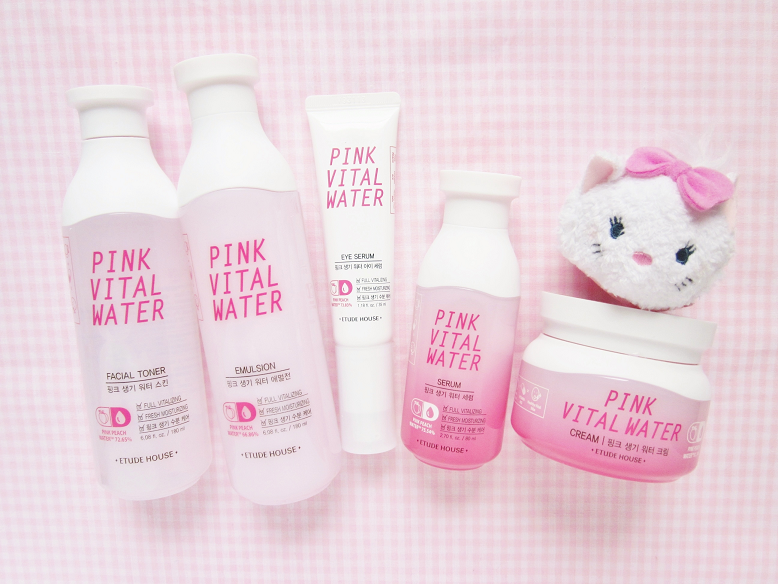 Have you tried any of the Pink Vital Water products?